Man says women over 20 shouldn’t wear yoga pants. Women plan yoga pant parade past his house. 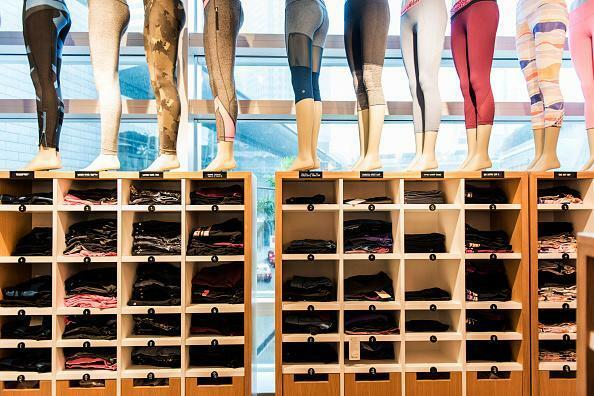 Athletic apparel sits on display inside a Lululemon Athletica Inc. store. Their outrage is in response to a letter that town resident Alan Sorrentino wrote to the Barrington Times about his dislike of yoga pants. He said women over age 20 shouldn’t wear them. Sorrentino wrote that it’s ‘‘bizarre and disturbing’’ to see the outfits on ‘‘mature, adult women,’’ noting that it’s ‘‘usually paired with a blousy top and a pony tail hairdo.’’ He said it’s the worst thing to happen in women’s fashion since the miniskirt. He said women should wear a ‘‘nice pair of tailored slacks’’ or jeans instead. Yoga pants? They count as ‘business casual’ now? Easy to ridicule, hard to take off, yoga pants are like Google Maps — few remember how they managed before. Read: Has Bostonians’ addiction to casual dressing gone too far? He told women who wear yoga pants that he’s struggling with his own physicality as he ages and said, ‘‘I don’t want to struggle with yours.’’ He didn’t return a call for comment Friday. In a Facebook page to promote the parade, women from as far as Texas and Australia said they'll wear yoga pants on Sunday in a show of solidarity.